Forgotten Golden Freddy. So sad... HD Wallpaper and background images in the ফাইভ নাইটস্‌ অ্যাট ফ্রেডিস্‌ club tagged: photo chibi cute golden freddy five nights at freddy's. 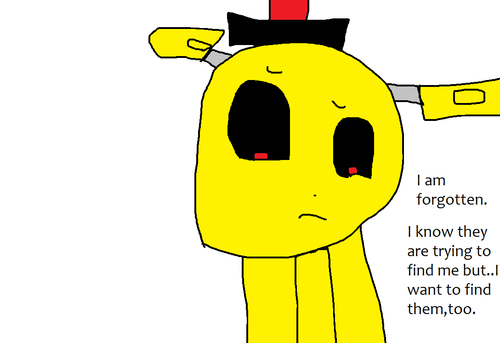 He want his animatronic friends to find him,not you he kills you.